This amazing lamp features a beautiful design with contemporary appeal. 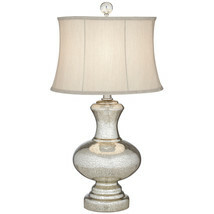 This table lamp has a fabric shade that bathes it with soft light. The body of this lamp bulges out towards the middle with a flourish. 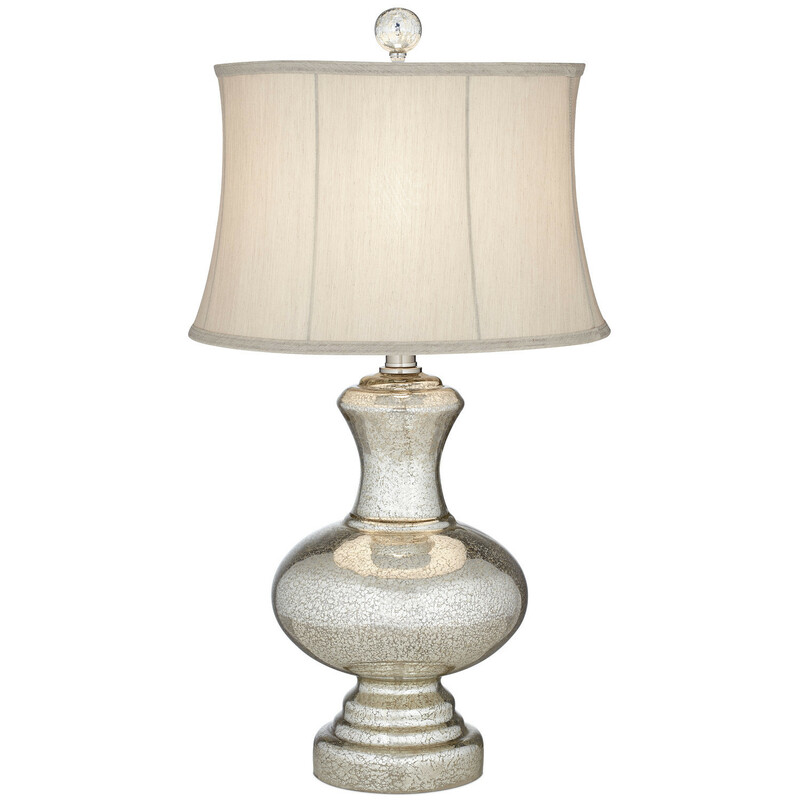 This decorative table lamp is crafted from glass and an antique mercury finish serves to accentuate its appeal.